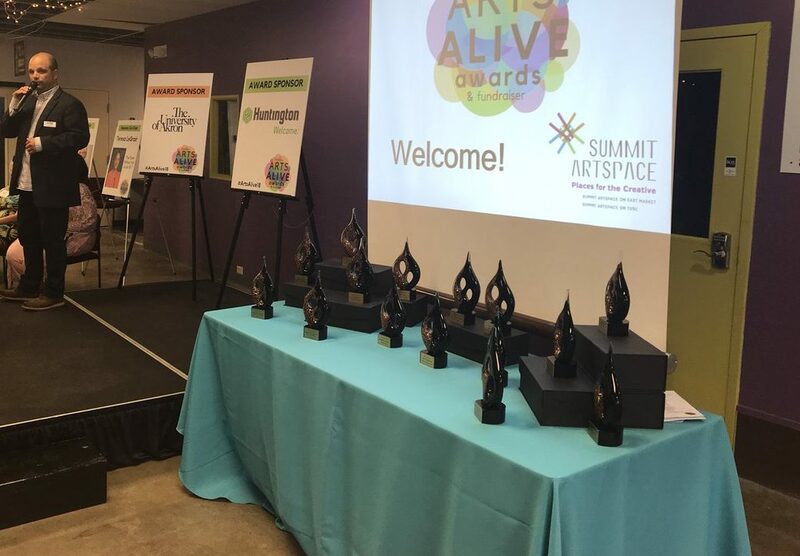 The 2018 Arts Alive Awards all in a row, ready to be presented with the help of Emcee Tommy Bruno, general manager of The Summit 91.3 FM. 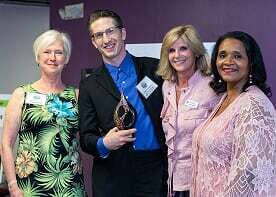 Recognizes an individual or individuals who give selflessly to the cause of advancing arts and culture in the community. An artist, arts managervolunteer or patron, this individual is a true lover of all arts who gives willingly and does so without seeking recognition. 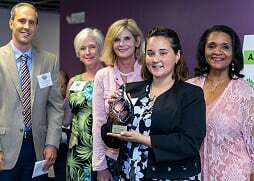 The committee is being recognized for its efforts in organizing and growing this annual event that attracts thousands of locals and out-of-towners to Akron’s Highland Square neighborhoods. 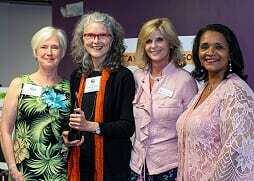 Recognizes an individual, group or organization that has been a true champion for Summit Artspace; who has provided extraordinary and ongoing support for its mission as a place for the creative. County Executive Shapiro and the County of Summit are being honored for their ongoing support of Summit Artspace through the generous contribution of the Summit Artspace building in downtown Akron. Recognizes individuals, groups, organizations for long-term commitment to bringing arts and culture to citizens through civic outlets and public projects. Mayor Judge and the City of Barberton have provided extraordinary and ongoing support for the city’s mission as a place for the arts with such initiatives as Barberton Fourth Friday, the support of Summit Artspace on Tusc and Nine Muses Art Gallery, school district art events and forward-thinking public art projects. 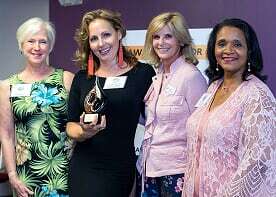 Recognizes an individual artist, arts manager, advocate or other who strengthens arts and culture in the community through decades of service. Lessman-Moss is an internationally known textile artist and professor of art at Kent State University who has been weaving beauty since the late 1970s. Shane Wynn is the Outstanding Artist for Visual Arts. Recognizes individual with at least five years working in visual arts professionally or as an amateur, whose work makes a significant impact on his or her discipline through outstanding creativity and growth.Wynn is an award-winning fine arts and editorial photographer who has been documenting the life of Akron, its people and its neighborhoods for more than two decades. 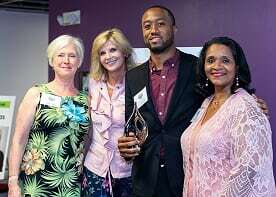 Recognizes individual with at least five years working in dance professionally or as an amateur, whose work makes a significant impact on his or her discipline through outstanding creativity and growth. Highfield is an accomplished ballet dancer and choreographer who has performed all over the world for a variety of dance companies. He came to Akron 20 years ago to work for Heinz Poll and the Ohio Ballet. He recently ended his on-stage career with the GroundWorks DanceTheatre. Recognizes individual with at least five years working in theatre professionally or as an amateur, whose work makes a significant impact his or her discipline through outstanding creativity and growth.Beck is an actor, writer, producer and collaborator. 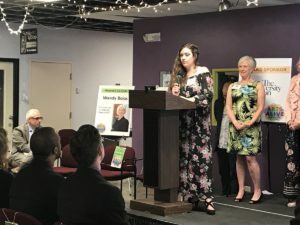 She won a Knights Art Challenge grant to establish Gum Dip Theatre in Akron, which strives to bring community-focused, affordable theater to Akron neighborhoods. Recognizes individual with at least five years working in music professionally or as an amateur, whose work makes a significant impact on his or her discipline through outstanding creativity and growth. Wilson is an accomplished jazz guitarist who has shared the stage with a number of jazz greats and is an international and national touring artist. He teaches jazz guitar and improvisation at Cuyahoga Community College. Recognizes an individual in the visual or performing arts with less than five years working in their discipline, who illustrates outstanding potential for making a significant impact on his or her discipline through creativity and growth. Hindi is a poet who is currently pursuing her MFA in poetry at The University of Akron. She is has published numerous poems, is active in blogging and publishing and is the literary arts editor for The Devil Strip. 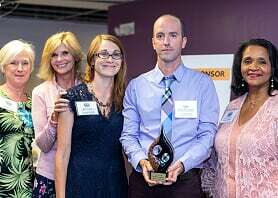 Recognizes an elementary, middle school, high school or university-level educator educator or a private instructor who has shown exemplary dedication and commitment to teaching, advising and mentoring area art students. Crossley is an art teacher at Glover CLC, in the Akron Public Schools. 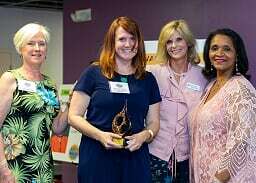 She goes above and beyond to involve her students, their artwork and their families in local events and other activities outside of school. 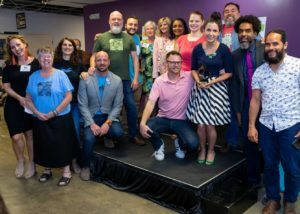 Recognizes an original project (performing or visual arts) that illustrates the power of collaboration among organizations and/or individuals to advance and support arts and culture in the community. The Big Love Network organizes numerous community public events promoting art, diversity, environmental stewardship, community activism and neighborhood celebration. Recognizes an individual or group who has helped bring a voice to underrepresented artists in the community or who has been a catalyst for bringing the arts and culture to underrepresented populations. 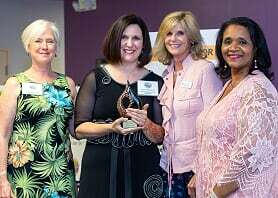 Hopkins is tireless in her efforts to bring the arts to the Summit County community, specifically for individuals with disabilities. 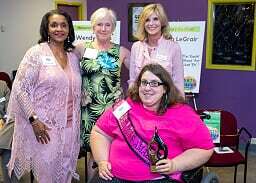 She organized the All Abilities Art Expo in Akron, which allowed individuals with any type of disability to participate and display their art for show and sale. Recognizes individuals, groups, organizations or original projects that honor and showcase diversity in arts and culture in the community. 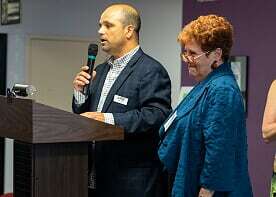 Minick is an educator at Kent State University who volunteers and helps lead numerous local organizations that support art collaboration among diverse neighborhoods, groups and organizations, including Global Ties Akron. Recognizes an individual arts contributor, manager, advocate, volunteer or patron with less than five of involvement in this role. Mullet has been instrumental in advocating for the arts and artists in Akron as the executive director of ArtsNow, an innovative non-profit that connects, collaborates with and supports the incredible creative sector in Summit County. Recognizes an individual or group who has shared significant time and/or skills volunteering for arts and culture in the community. 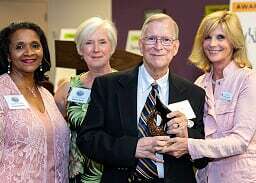 Veesart has spent most of his life volunteering and giving back to his community. A devoted volunteer at Summit Artspace for more than a decade, he is a familiar face to the many area art lovers who visit the galleries at the East Market building. 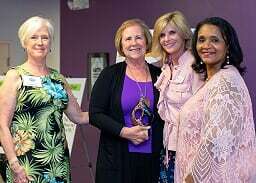 The Special Service Award went to outgoing Chair Toby Ann Weber. Weber is the outgoing Chair of Summit Artspace. 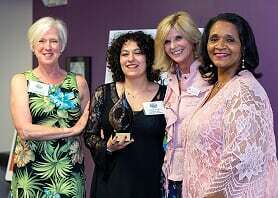 She was recognized for her extraordinary dedication and service to the arts organization.